tokareva, kev80e, do_checkdate and 2 others like this. Apparently they both require a service and a little work but at that price they are worth it even as parts watches. Neruda, jose-CostaRica, tokareva and 5 others like this. Last edited by Lol965; August 2nd, 2017 at 19:55.
jose-CostaRica, tokareva, GuessWho and 9 others like this. Fantastic . Looks in great condition. larand, tokareva, kev80e and 3 others like this. Not quite today but all very recent purchases. 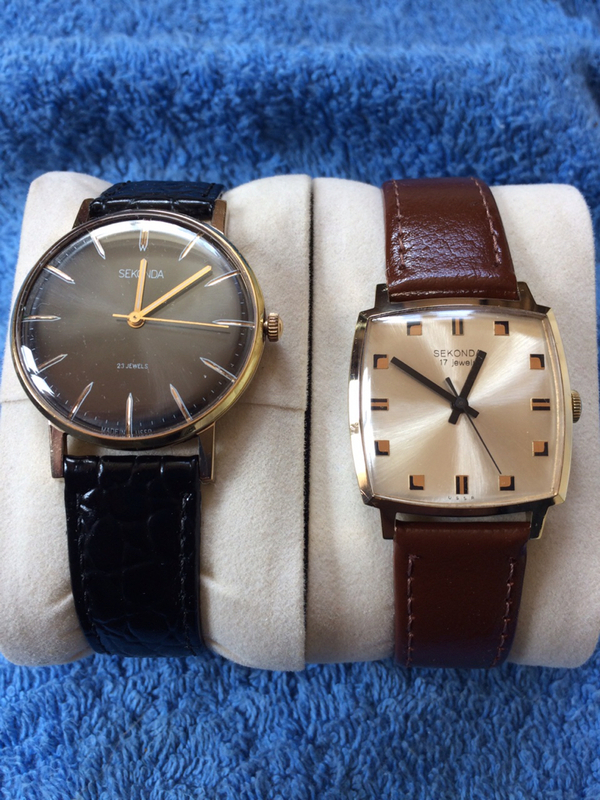 A Sekonda Luch ultra slim, a Sekonda Poljot and a Sportivnie. bpmurray, tokareva, kev80e and 5 others like this. larand, GuessWho, tokareva and 7 others like this. so you will have the couple now! congratulations. mariomart, Chascomm and cptwalker like this.